Learn to manage computing resources in a unified, secure and predictable way. Complete this survey on your organization's maturity for multi-cloud management. 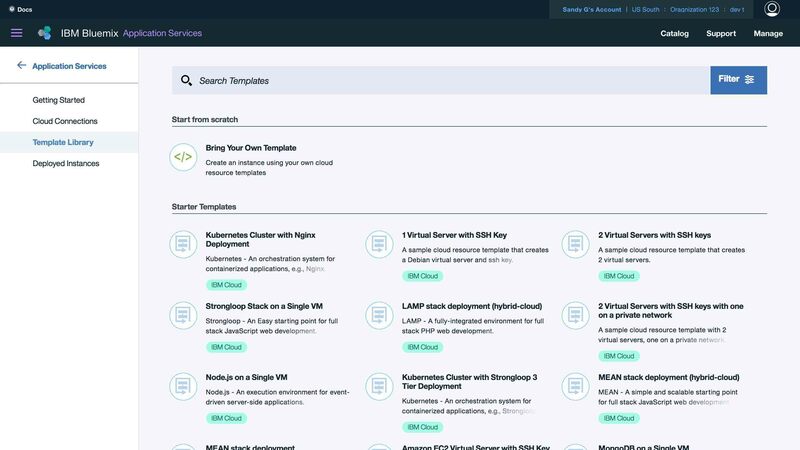 Learn about the vision for IBM® Cloud Automation Manager including architectural details and runtime architecture. Explore the business benefits of self-service multi-cloud management through APIs and self-service automation. Discover how template-driven automation can help you accelerate application delivery in the cloud. Try it on IBM Bluemix®. Learn more about the multi-cloud, self-service management platform.